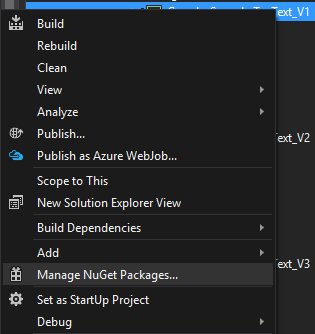 In the drop-down menu at the top, select 'Create a project'. Create your billing details at Google. Click 'Create credentials' and choose 'Service Account key'. Under 'Service account', choose 'Compute Engine default service account', and leave JSON selected under 'Key Type'. Click 'Create'. A .json file will be downloaded to your computer. in PowerShell to the path of the JSON key that was downloaded (Figure 1). 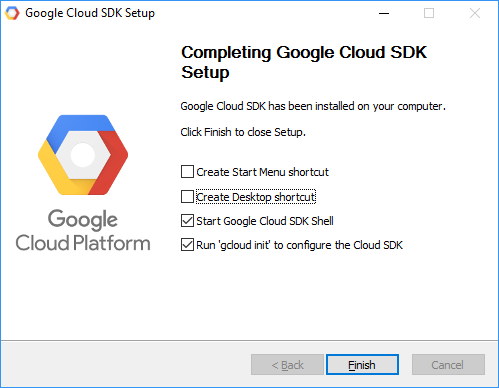 Download and Install Google Cloud SDK (Figure 2). It is necessary to reboot your machine after installation. Please download the example projects from here. Run the C# IDE you use. 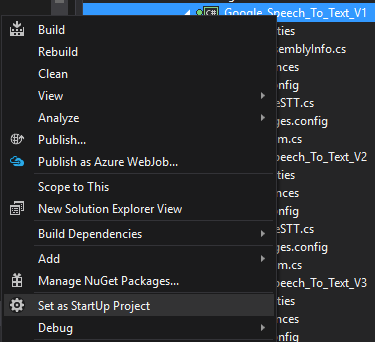 For example Visual Studio. 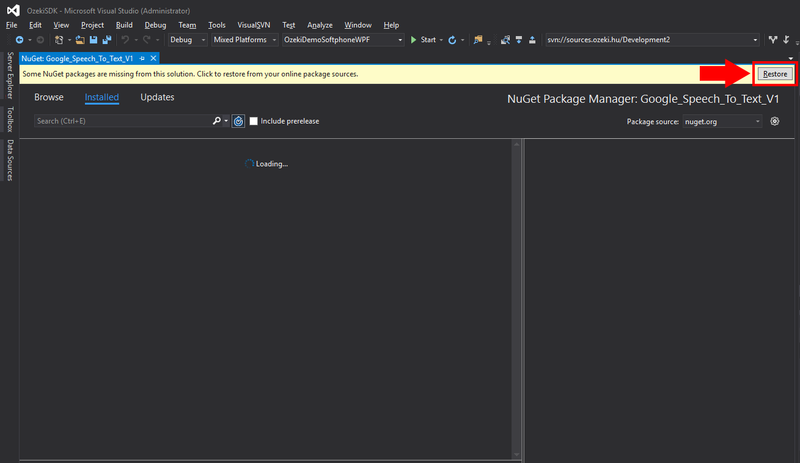 By clicking 'Restore' (Figure 4), Visual Studio automatically restores NuGet packages. 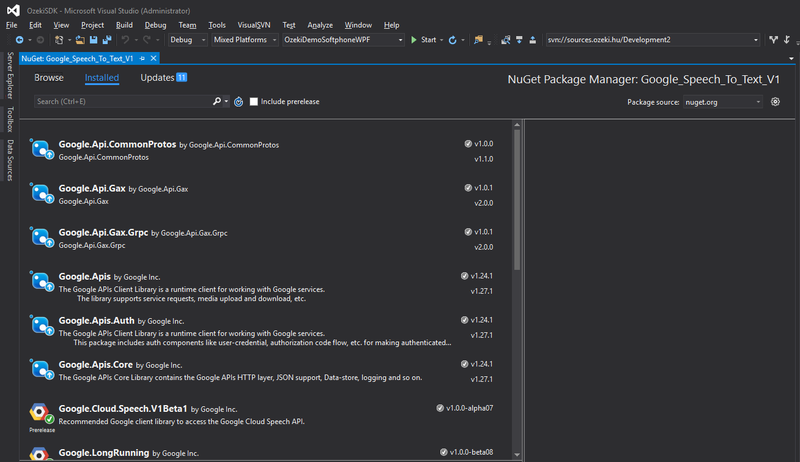 On Figure 5 you can see the automatically restored NuGet packages. Do not forget to set the project as startup project (Figure 6). After finnishing these steps you must be eager to test the project by pressing 'F5'.